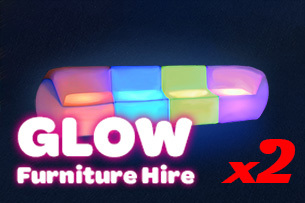 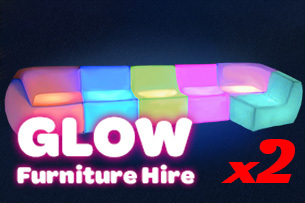 Glow lounge hire is a great way to provide some casual seating for your next event. 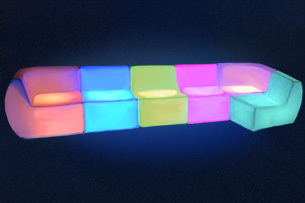 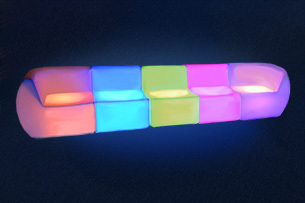 Our glow lounges can be made to any size you like, using a combination of straight and end pieces. So, if you want a small lounge, you could use less pieces, and if you want a large lounge area you can join up multiple straight pieces. You can have them with or without end pieces for more of a straight look. 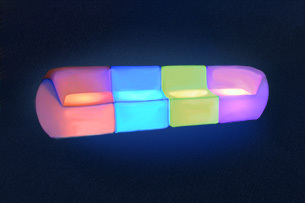 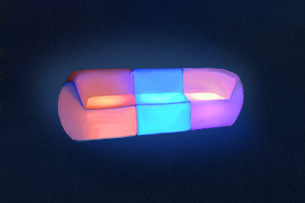 The glow lounges are all wireless, and have an internal LED battery that lasts between 6-8 hours. They come with a remote that allows you to choose from 16 colours. 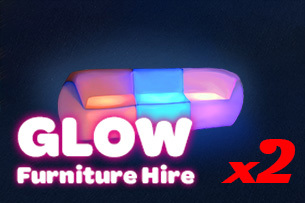 You can set the glow lounges to all one colour, or you can have multiple colours. 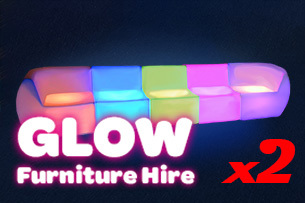 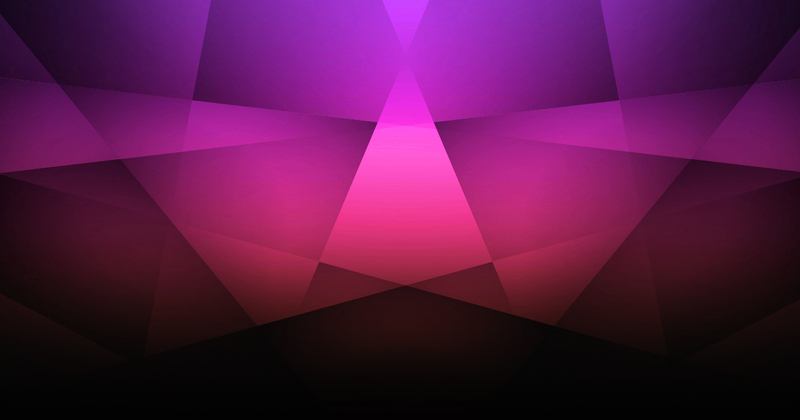 You can choose a fixed colour or have a slow or fast transition between colours. 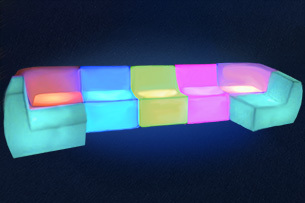 Check out our prices for some of the most common combinations below. You are also welcome to choose a combination you like, just give us a call or send an email for a quote.